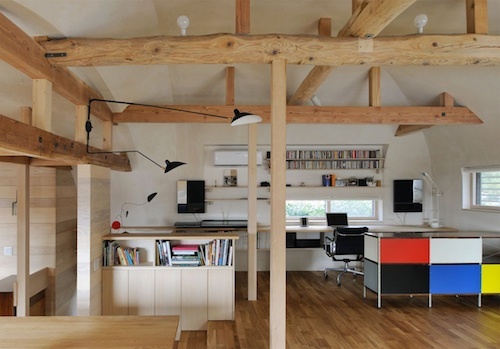 We are used to modern Japanese architectural minimalism, but Japan’s traditional houses hold much in common with the great old wooded houses of towns in medieval Europe. 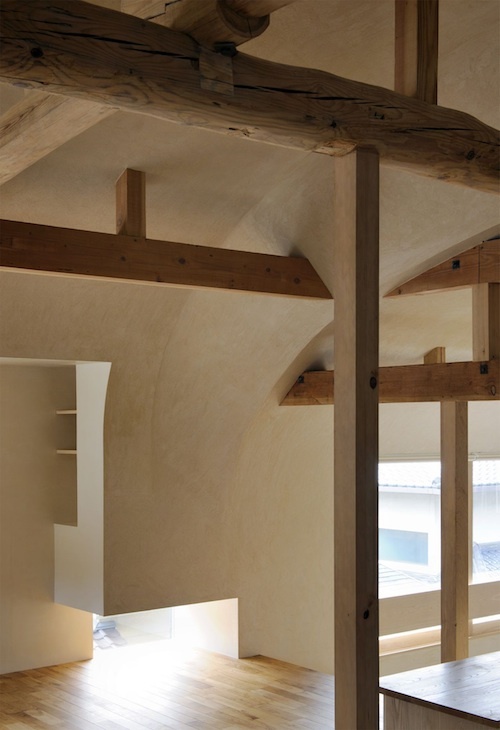 In this renovation of a vault in Kyoto by Méga, these very ancient traditions are revived, with massive timbers holding up the ceiling. 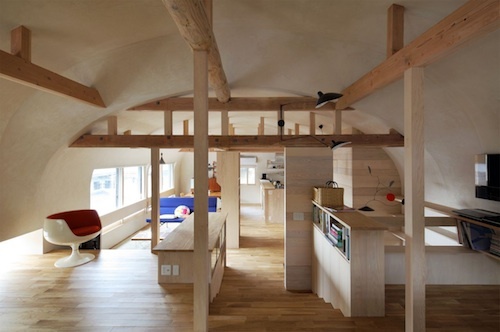 The vaulted ceiling is revealed by the renovation, and emphasised with massive structural supports. 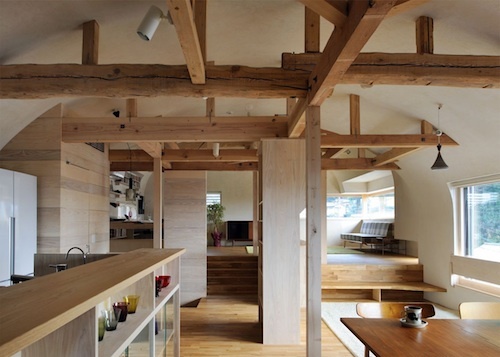 The use of such giant timbers is what is reflective of the ancient traditions of Japan’s village architecture. A somewhat busy open-plan interior with a plentitude of interior spaces and views is typical of the tradition, and is carried forward here. 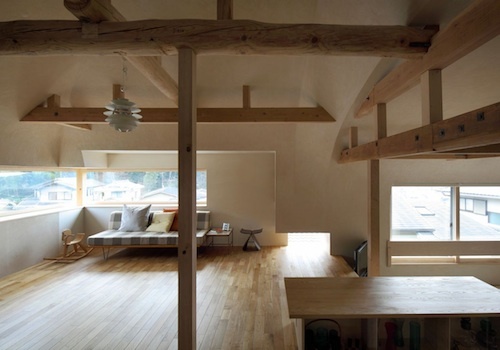 The effect could not be more different from the minimalism that we see in so much modern Japanese architecture. 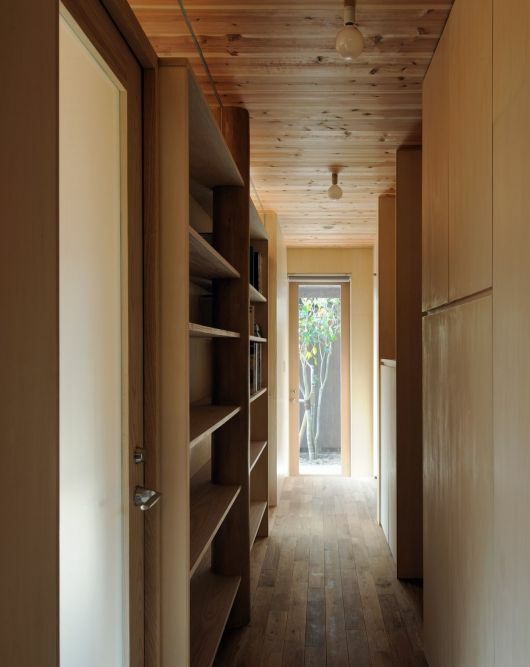 Only in one storage area, could this renovation be more in tune with modern Japan, which gradually adjusted these medieval traditions after earthquakes suggested the suitability of lighter and more flexible architecture. This entry was posted on Monday, July 8th, 2013 by Susan Kraemer and is filed under Architecture. You can follow any responses to this entry through the RSS 2.0 feed. You can leave a comment.